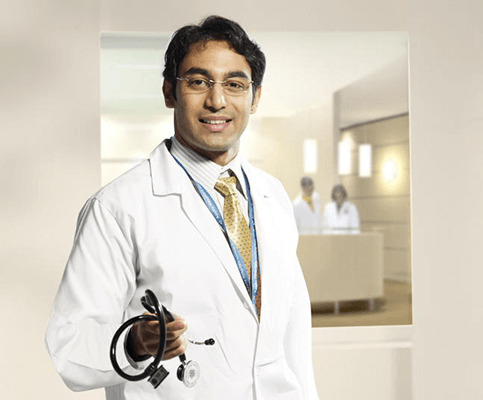 Indraprastha Apollo Hospitals. Part of "Apollo Center for Advanced Pediatrics (ACAP)" & Dept. of Orthopaedic Surgery. Managing both Traumatic (acute & chronic) and Non-Traumatic Orthopaedic Disorders in patients below 19 years of age. Sir Gangaram Hospital. Part of "Pediatric Super-specialities." Courtesy affiliation for in-patients only. Clinical'Fellow Resident in Pediatric Orthopaedics for 12 months under the guidance of Program Director John V Banta MD, at Connecticut Children's Medical Center, Hartford, CT, USA. Involved in working with the 4 members of the faculty by rotation. Management (operative & non-operative) of a caseload consisting of roughly, 35-40% of Spinal deformities (mainly Scoliosis), 25- 30% of Hip/Pelvic problems (mainly as resultant of DDH & CP), 20- 25% of Knee, Foot & Ankle deformities and around 5% of Upper Limb ailments. Involved in running weekly Clinics of Scoliosis, CP, Muscle Disease, Foot and Ortho. & a monthly Clinic of Myelomeningocoele. Attended Pre & Post- Operative Conferences and weekly Grand Rounds involving didactic lectures and in- depth discussions. Completed a clinical project - "Effect of Boston Brace on body alignment in patients of Adolescent Idiopathic Scoliosis" as a part of the curriculum to be completed in a year. Successfully completed a case report titled "Congenital Pseudarthrosis of Fibula". Senior Medical Officer- Orthopaedic Surgery at Central Institute of Orthopaedics (CIO), Safdarjung Hospital (1000 plus bedded), New Delhi. Worked as a full time surgeon doing Orthopaedic emergency & Casuality duties, performing both emergency and routine surgeries (traumatic & non- traumatic cases) and ran Orthopaedic Clinics. Actively participated in academic discussions and taught Orthopaedic Residents. Worked successfully on 2 clinical papers on Orthopaedic Trauma, one on "Intercondylar Fractures of Humerus & it's management" and the other on "Ligamentotaxis in comminuted intra-articular fractures of lower-end Radius in Adults." Both eventually got published in the Journal "Orthopaedic Update." Ably supported by Dr. KS Rao, Senior Consultant & Director, CIO, Safdarjung Hospital, New Delhi. Medical Officer - Orthopaedic Surgery after joining the Central Health Service, Govt. of India. Full time Resident in the Dept. of Orthopaedic Surgery, King George's Medical College, Lucknow, India pursuing MS Orthopaedic Surgery course under the direct supervision and professional guidance of Dr. US Misra, MCh. FRCS (L'Pool), Professor & Head, Dept. of Orthopaedic Surgery. Did emergency duties, attended ward rounds (morn. & eve. ), ran Ortho. Clinics and performed & assisted both routine and emergency surgeries at Gandhi Memorial & associated Hospitals affiliated to KG Medical College. Gained experience in the management of Spinal injuries when posted to Traumatic Quadriplegia & Paraplegia Unit. Worked on the clinical project on the treatment of Intercondylar Fractures of Humerus & completed it successfully. Took active interest in academic discussions and taught Medical School students posted. A full time Resident at Patel Chest Institute, Delhi pursuing Diploma in Tuberculosis & Chest Diseases. A full time Resident in the Dept of Ortho. Surgery ( House Surgeonship) for 6 mths. at Lok Nayak Jaiprakash Narain (LNJP) Hospital, New Delhi. Under supervision of Dr. BK Dhaon MS(Ortho), Professor & Head of the unit. Worked for another 3 months from Jan 1988 to March 1988 in Orthopaedic Surgery. A full time Resident in the Dept. of General Medicine for 6 mths. At LNJP Hospital, New Delhi. Under supervision of Dr. DD Kulapathi, Professor & Head, Dept. of Medicine. Rotating Internship (compulsory) in various clinical disciplines at LNJPH, New Delhi (affiliated to Maulana Azad Medical College). Faculty for the 1st Interactive Academic Meeting of Pediatric Orthopaedic Foundation (POF) on “Pediatric Elbow”, organised at Artemis Hospital, Gurugram, on 2nd April, 2017. Invited faculty for 23rd Annual Conference of Paediatric Orthopaedic Society of India (POSICON 2017) held from 27th January & 28th January, 2017 at Nagpur. Participated and interacted in the basic (POSICON 2017) workshop on Pediatric Trauma & Cerebral Palsy, on 26th January, 2017 at Nagpur. Participated and interacted in the advanced (POSICON 2017) workshop on Complex Foot Deformities, on 26th January, 2017 at Nagpur. Participated in a Webinar organised by the Scoliosis Research Society’s Growing Spine Committee titled “Casting for Early Onset Scoliosis – Why, When & How?, on 12th December, 2016. Participating as faculty and delivered a talk titled “Painful Swollen Joint – Attention Pediatricians! at the Pediatric Conference of North India (PCNI) in New Delhi on 4th December, 2016. Participating as faculty and delivered a talk titled “Managing DDH –How, Whenever?at the West Delhi Orthopaedic Association Meeting in New Delhi on 11th September, 2016. Participated in an interactive session in Masterclass on Hip Preservation - Emerging and established concepts(a POF academic activity),at Fortis Memorial & Research Center, Gurgaonon the afternoon of 14th July, 2016. Presided as Secretary over the 2ndInteractive Academic Meeting of Pediatric Orthopaedic Foundation (POF), organised at Safdarjung Hospital, New Delhi, on 3rd July, 2016. Participated as Faculty at the Child Care Conclave 2016, a comprehensive program on the management of Cerebral Palsy, at Hotel Lalit, Mumbai on 18th& 19th June, 2016. Presided as Secretary over the 1stInteractive Academic Meeting of Pediatric Orthopaedic Foundation (POF), organised at St Stephens Hospital, New Delhi, on 3rd April, 2016. Invited Faculty at UPORTHOCON 2016 at Meerut to participate in a DDH symposium and deliver a talk on “DDH in a walking child – management update”, on 14th February, 2016. Presided as Secretary over the 1st CME of Pediatric Orthopaedic Foundation (POF), jointly organised by POF & Chacha Nehru Bal Chikitsalay Hospital, at latter on 12th January, 2016. Participated and interacted in the post-conference (POSICON 2016) workshop on Complex Hip Deformities, Safe Surgical Dislocation & Hip Arthroscopy, on 9th– 10th January, 2016 at Bengaluru. Invited faculty for 22nd Annual Conference of Paediatric Orthopaedic Society of India (POSICON 2016) held from 8th January, 2016 to 9th January, 2016 at Bengaluru. Participated and interacted in the pre-conference (POSICON 2016) Upper Limb workshop on Upper Limb, on 7th January, 2016 at Bengaluru. Invited Faculty for the 33rd Annual Dr Lobo Memorial Function (hosted jointly by the Dept of Orthopaedics, CMC Ludhiana & Dr Lobo memorial trust, Ludhiana) featuring a symposium on “Approach to Cerebral Palsy”, on 24th October, 2015 (Saturday). Presenting a talk on “Surgical Management of Lower Limb Problems in CP”. Organizing Secretary for the 21st Annual Conference of Paediatric Orthopaedic Society of India (POSICON 2015)successfully held from 29th January to 1st February, 2015. This international meeting comprised of 4 parallel pre-conference workshops (Foot & Ankle Deformities, Upper Limb Injuries and Complications, Knee Disorders & Deformities and Scoliosis), the main conference and a post-conference workshop on “Surgeries around the Paediatric Hip”, spread over 3 and ½ days. It also featured 16 foreign faculty from across the world participating actively. Chaired a session on “Unsalvagable Post-Septic Arthritis Hips in Children” at a (Delhi Orthopaedic Association) DOA meet at Maulana Azad Medical College, New Delhi, on 2nd November, 2014. Faculty at the National Orthopaedic Meet at Indraprastha Apollo Hospitals, New Delhi where delivered a talk on “Limping Child” on 12th October, 2014. Faculty at the East Delhi Orthopaedic Association meet where was invited to deliver a talk on “Supracondylar Fractures of Humerus”, on 21st September, 2014. Course Director and faculty for Pediatric Orthopaedic Trauma Symposium as a part of Trauma Conclave conducted under the aegis of Trauma Society of India and POSI, at Hotel Metropoliton, New Delhi on 6th July, 2014. Invited as faculty to contribute actively and deliver interactive talks in Pediatric Orthopaedic Trauma & Osteotomies around the Hip supported by Synthes, at Fortis Escorts Heart Institute, New Delhi, on 4th May, 2014. Invited as faculty in the Delhi Trauma Meet titled “How not to miss Pediatric Orthopaedic Fractures” in Midcon of Delhi Orthopaedic Association (DOA) 2014, at Siddharth, New Delhi, on 20th April, 2014. Invited as faculty to deliver talks in a “Pediatric Hip” symposium on 7th February, 2015 at Corbett National Park, UP, as a part of the annual UP Orthopaedic Association chapter. Invited as facultyto participatein a debate favouring ‘non-operative management in Type II-b Perthes’ Disease’, at the Annual Pediatric Orthopaedic Conference (POSICON) at Chennai, on 10th – 13th January, 2014. Invited as faculty to deliver an interactive talk on “Five significant positive changes in Pediatric Orthopaedics” in an Orthopaedic CME as a part of the annual Delhi Orthopaedic Association (DOA) conference at SCOPE complex, Lodhi Road, New Delhi, on 10th November, 2013. Delivered an interactive talk on “Nursing in Pediatric Orthopaedics” for the nurses of Indraprastha Apollo Hospitals, as a part of their CME program, on 24 October, 2013. Faculty in the National Orthopaedic Update, at Indraprastha Apollo Hospitals, New Delhi on August 11, 2013. Invited as faculty and delivered a talk on “Cerebral Palsy – Management Update” and participated in panel discussion during the ‘Child Behavior & Developmental Pediatrics Workshop” (conducted by IAP, Delhi) at Moolcand Hospital, New Delhi, on 28th April, 2013. Invited as faculty to help to conduct an Orthopaedic Update & EBM organized by SICOT and UP Orthopaedic Association, in Lucknow, UP on 23rd March, 2013. Invited on behalf of the Indian Journal of Orthopaedics (IJO) to conduct a Book Review of “Pediatric Osteoarticular Infections” (editors: Anil Agarwal & Aditya N Agarwal; Publishers Jaypee Brothers Medical Publishers (P) Ltd, First Edition 2013), on 30 January, 2013. Undertook an interactive teaching session on “Perthes Disease” for the post-graduates, as an initiative of Delhi Orthopaedic Association, at Indraprastha Apollo Hospitals, New Delhi on 23rd Jan, 2013. Attended the advanced workshop on “Management of Upper Limb Disorders in Children” of the 15th Annual Pediatric Orthopaedic Society of India Conference (POSICON 2013), held in Ahmedabad, Gujarat on 6th& 7th Jan, 2013. Invited as faculty for the 15th Annual Pediatric Orthopaedic Society of India Conference (POSICON 2013), held in Ahmedabad, Gujarat on 5th& 6th Jan, 2013. Attended the 10thAnnual Conference of Pediatric Orthopaedic Society of India (POSICON 2004,21 & 22 Feb, 2004), in Allahabad, U.P., India. Presented a paper on "Clubfoot" and was the senior author of the paper presented on "Septic Arthritis of Large Joints in Infants"
Attended the 9th Annual Conference of Pediatric Orthopaedic Society of India (POSICON 2003,16 - 18 Jan, 2003), in Vellore, T.N., India. Presented a free paper on "Clubfoot" and chaired a session on "Scoliosis"
Wrote the chapter on “Neonatal Osteomyelitis” and contributed to the newest edition of ‘Textbook of Orthopaedics’ by Dr GS Kulkarni, published by Jaypee in November 2015. Original article titled “Outcome of Surgical Management of Developmental Dysplasia of Hip in Children between 18 to 24 months” published in August issue of Indian Journal of Orthopaedics in 2014. Supervisor and Guide for the DNB academic program for “Orthopaedic Surgery” for the year 2013-14 at Indraprastha Apollo Hospitals, New Delhi, and successfully submitted a thesis titled “Prospective Study of Intorsion of Lower Limbs in Children in relation to their Age”. Paper accepted for publication “Need for Supplementary Procedure in treating DDH in Children between 18 to 24 months of Age”, in Indian Journal of Orthopaedics (IJO) in February, 2014. Attended the post-conference advanced workshop on “Congenital Limb Deficiencies and Deformity Correction” on 12th – 13th January, 2014. Attended actively the 20th Annual Conference of Pediatric Orthopaedic Society of India, POSICON 2014 from 11th – 13th January, 2014. Authored the chapter on “Neonatal Osteomyelitis” and contributed to the newest edition of ‘Textbook of Orthopaedics’ by Dr GS Kulkarni, in October, 2013. Presented a free paper titled “Need for a supplementary (pelvic) procedure along with open reduction in management of DDH between 18 & 24 months of age” in the Golden Jubilee Congress of the Asia Pacific Orthopaedic Association (APOA 2012) between October 3-6, 2012 at New Delhi, India. For publication. Presented a poster on “Pedicle Subtraction Osteotomy in Congenital Kypho-Scoliosis” at the 14th annual Pediatric Orthopaedic Society of India Conference (POSICON 2012), held in Pune, Maharashtra on 15th& 16th Jan, 2012. Invited to deliver a talk on “Idiopathic Clubfoot Revisited”, by Ghaziabad Orthopaedic Club at Ghaziabad, UP, on 22 Jan, 2016. Invited to deliver a talk on “Supracondylar Fractures of Humerus and its Complications – Management Update”, by Ghaziabad Orthopaedic Club at Ghaziabad, UP, on 10th May, 2013. Invited to deliver a Guest Lecture by IAP – Noida and Comprehensive Orthotics & Prosthetics on our ‘Approach to a Limping Child’ in Fortis, Noida, on 11th April, 2013. “Fracture neck femur in children”. Was faculty at Ghaziabad Orthopaedic Club meeting at Ghaziabad on 18th Dec, 2005. "Pediatric Orthopaedics to a Pediatrician." Speaker in CME program on 'Decision Making in Ambulatory Pediatrics' at Sir Gangaram Hospital on 13th Nov, 1999.